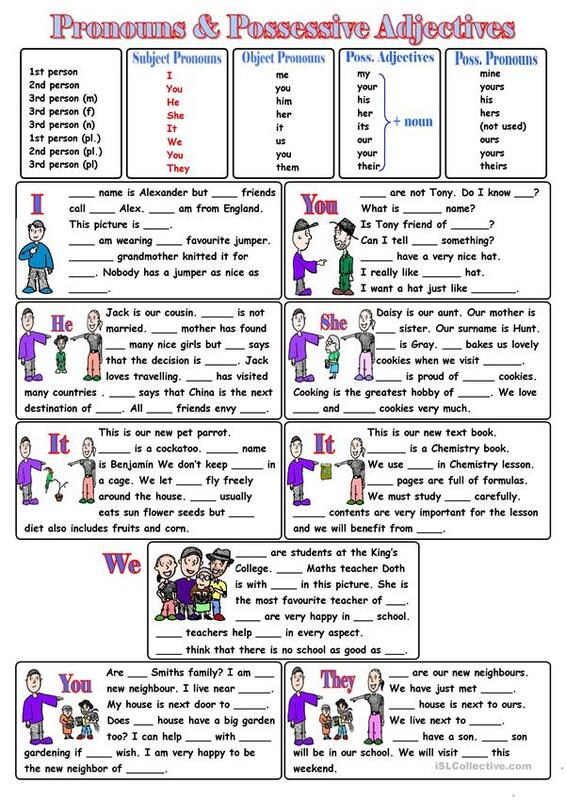 Cloze activity to practice and learn subject-object pronouns, possessive adjectives and possessive pronouns. Key for the exercies is given. The present downloadable worksheet was created for elementary school students at Pre-intermediate (A2) level. 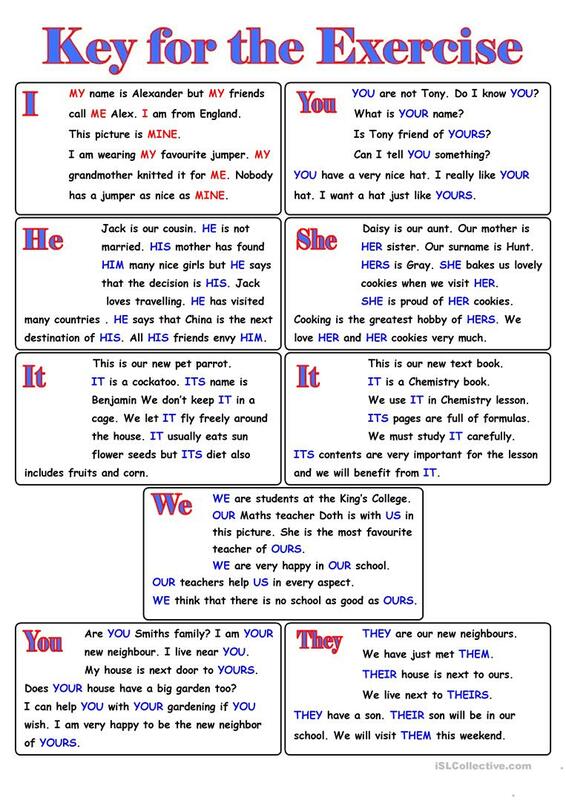 It is great for consolidating Personal pronouns in English, and is useful for strengthening your students' Writing skills. There is a key provided with the exercises.